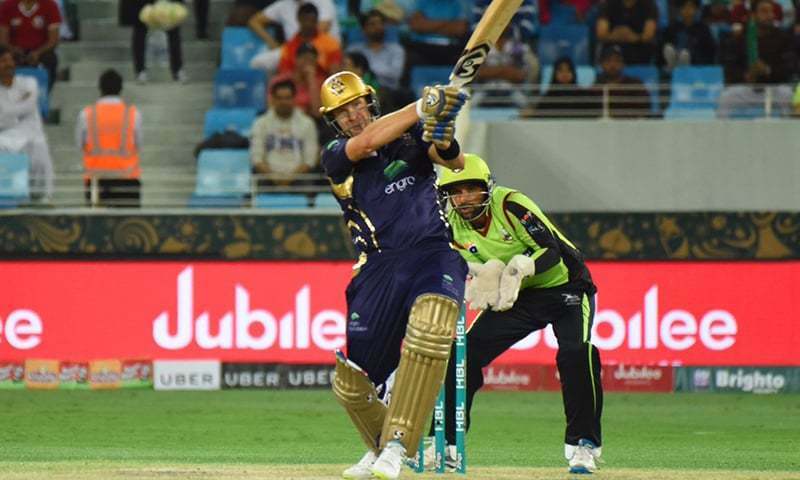 An incredible spell of tight spin bowling, the likes of which are rarely seen in T20 cricket, by Mohammad Nawaz, helped Quetta Gladiators defeat Lahore Qalandars by nine wickets in the fifth match of the Pakistan Super League 2018 in Dubai on Saturday. The Qalandars, put in to bat first, sent Brendon McCullum and Sunil Narine to open the innings. Cameron Delport and Umar Akmal were dismissed in back-to-back overs as pressure, not for the first time, mounted on the Qalandars. Left-arm spinner Mohammad Nawaz was superb as he gave away just four runs and picked up two important wickets in his four-over quota. Pick of the Quetta bowlers? You bet! Confusion with Gulraiz Sadaf meant that Raza Hasan was run out as it went from bad to worse for the Qalandars. A day after losing seven wickets for just four runs against Multan, the Qalandars suffered another collapse, going from 46-0 to 119-9. The long faces of Moin Khan and Abdul Razzaq before the final delivery tell the whole story. After the innings break, Hasan opened the bowling for the Qalandars and was given this treatment by Watson in the opening over. Defending such a low total, the Qalandars needed early wickets but it didn’t happen as Watson and Asad Shafiq played with confidence. Watson scored a 42-ball 66 before Narine bowled him out but that was the only wicket the Qalandars could claim as the Gladiators reached their target with nine wickets and six overs to spare.